In this modern era, Smartphones plays a vital role in our lives. Smartphones are not only meant for making calls, sending texts but also taking pictures, browsing net etc., This is the time to say goodbye to our digital cameras, because smartphones are totally replacing wholesome features of digital cameras. Normally many people think that photo editing can only be done by the professionals. But, It’s totally wrong. A normal person without any photo editing knowledge can do editing the pictures extraordinarily with the help of this applications. Many guys asked me What is the good photo editing app for android. So, for the sake of those guys here we are giving the list of Top 10 photo editor apps for android. Flash Sale Tips & Tricks – How to Buy a Product on Flash Sale in a Single Click. 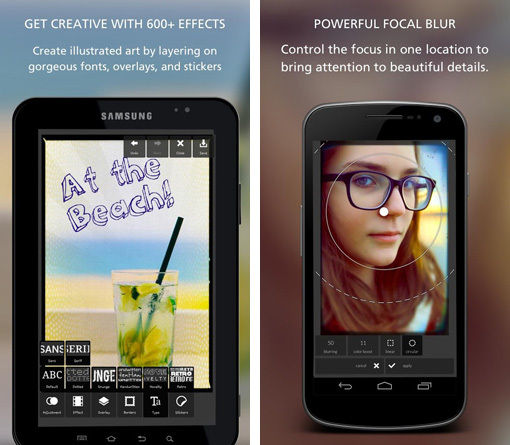 Here we are providing the list of Top 10 Best Free Photo Editing Applications for Android. With the help of these Android Photo Editing Apps you can easily edit any picture according to your need. You can also get this free Android Picture Editor Apps by clicking below links. 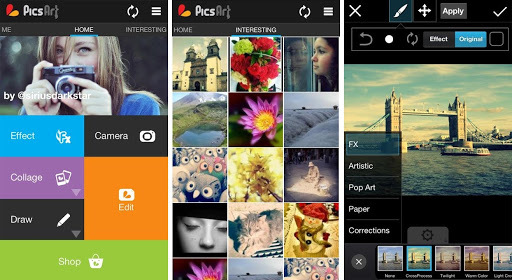 Pics Art Social Photo Editor Application is the No.1 Android Application for Picture Editing. You can also share the editing pictures to the social mediums through this Pics Art Social Photo Editor App. Hundreds of photo editing tools. Photo Director is a picture editing application on android, It is a user friendly app for photo editing, You can easily adjust, edit and add affects to your pictures with the help of this app. Pixlr (aka Pixlr Express) is developed by Autodesk Inc. Pixlr is a fun and powerful photo editing app it lets you to quickly crop, rotate, and fine-tune any picture. 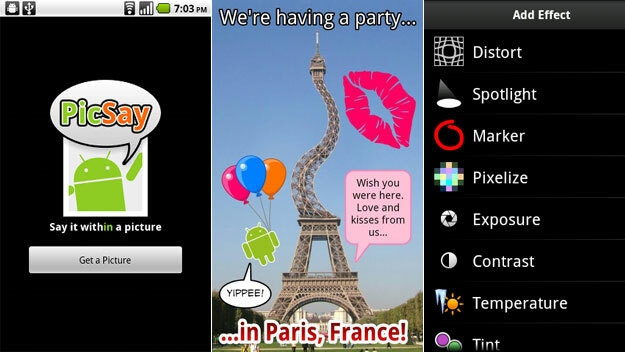 Check out some cool features regarding Pixlr android application in below. At the time of saving and sharing you can easily crop, rotate and adjust images. You can easily adjust the contrast and brightness of the image, focus on one color with Color Splash, or add impact with Focal Blur. After editing you can share your pictures through Instagram, Facebook, Twitter, or email. There is no introduction needed about Adobe Photo Editing application, Because from the past 5 years Adobe Photoshop holds the No.1 position in Photo Editing for windows users. Coming to the Android OS, Adobe Light room Mobile Photo Editing Application has been developed by Adobe for Android users. View, organize, edit and share photos across mobile devices, desktop and the web. Craft visual stories and animated videos with access to your photos in Adobe Voice and Slate, available from the App Store. Snapseed is a great photo editing application developed by Nik Software Inc., Previously this application is only limited for desktop users, But there is also a huge request for Snapseed application from the mobile users. So, they recently created this Snapseed Android Photo Editing Application. You can crop the images to a standard aspect ratio. Easily rotate 90°, straighten or free rotate as your need. without leaving a trace you can remove dust and dirt from the image. Add glow to the image according to your fashion. Use Stacks to go back in time visually. This is another best picture editing application for android users. This application has been developed by Aviary Inc. You want to edit your photos quickly then without any second thought you may go for Aviary. You love meme’s then you have to install Aviary. Be Funky Photo Editor is one of the best photo editing applications of android. There is an interesting feature in this application i.e. You can add unlimited efftects to your pics according to your need. You can simultaneously share your photos with your camera roll and BeFunky/Facebook/Instagram/Twitter/Flickr/Tumblr. No. of Fonts for your photos are available. Over 32 free amazing photo effects included. 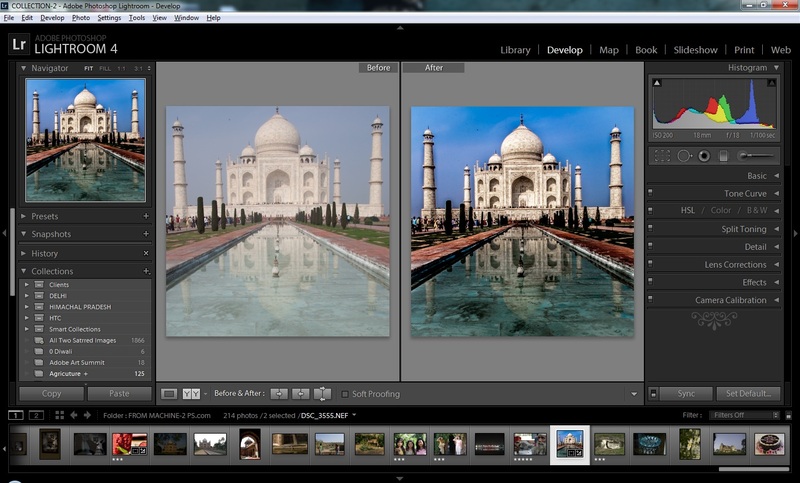 It has powerful editing tools like fill light, exposure, and saturation. Simultaneously share your photos with your camera roll and BeFunky/Facebook/Instagram/Twitter/Flickr/Tumblr with a single click. Cymera Photo Editor Application has been developed by SK Communications, It is the best app for editing your selfie. If you want to edit your selfie pics then you have to install Cymera Photo Editor App. You can also share beautiful selfie editing pics to your friends. Live filters ! No retouch necessary! Photo Editor Pro is one of the best powerful picture editor application for android users. It has been developed by Zentertain. Like other apps it has also so many stickers, effects are available to add your photos. Photo Editor Pro has build in photo collage feature. 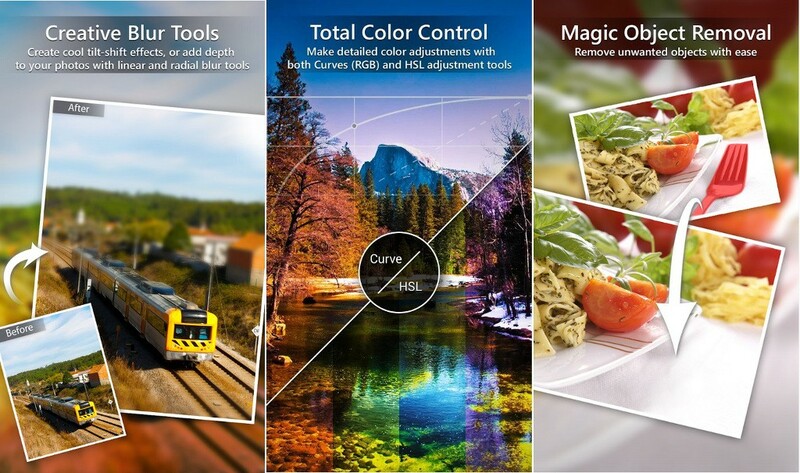 One-tap auto enhance is the main feature to help the Photo Editor Pro to hold a position among the Top 10 Best Android Photo Editing Applications. Pic Say is an award winning photo editor application. It has been developed by Shinycore. Along with other photo editing applications it has also some basic features. 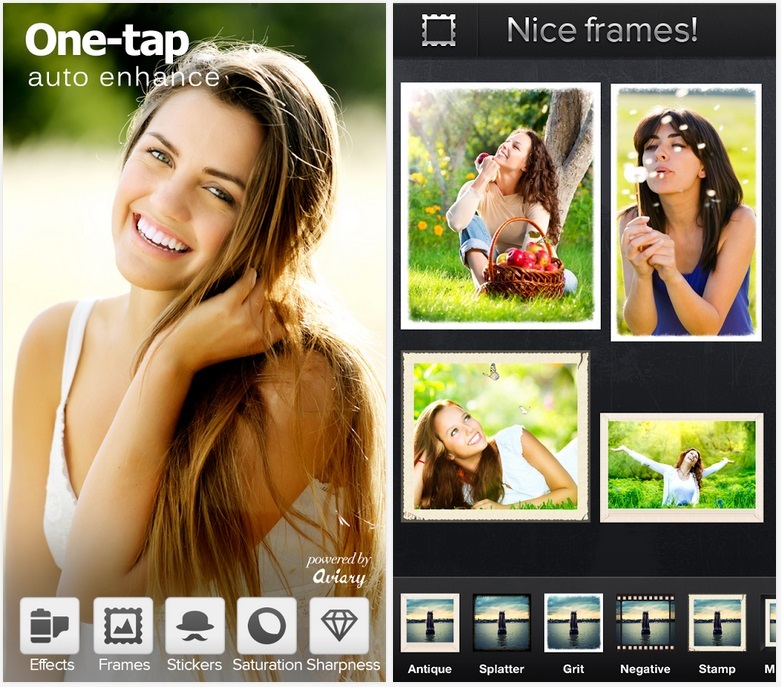 But, it has some interesting features that’s why it can hold the position of top 10 best android photo editing apps. Pic Say available on both free and paid versions. In paid version you will get some extra tools, special effects, styles, stickers, and much more. You can add word balloons, titles, graphics, and effects like distortion to your picture. After editing you can share your pictures through Instagram, Facebook, Twitter, WhatsApp or any other service you have installed on your device. 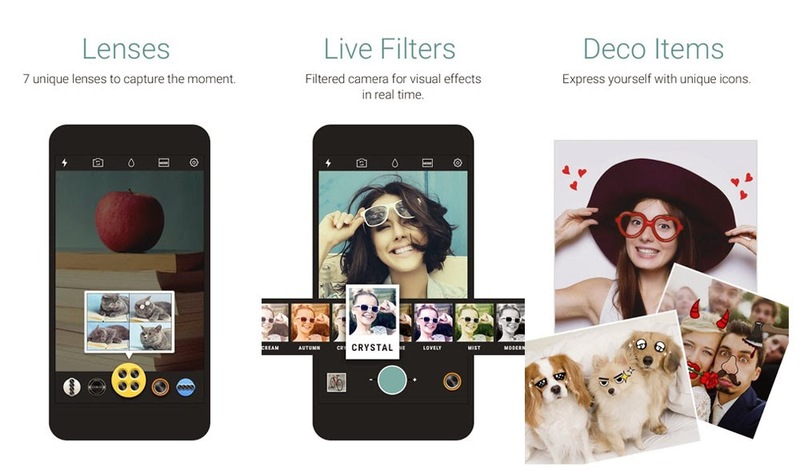 That’s it Guys… These are the Best Photo Editing Applications for Android. If you like this Free Android Photo Editing Apps article. Share it to your friends.